Loved seeing our local boy Ryan Gosling as Neil. He wouldn't have been my choice if I was casting the role, but after seeing him in this, he was a great choice! A really great film, that most will enjoy. This movie sounds captivating and interests me greatly as it is meaningful. My favorite Ryan Gosling Movie is the Notebook. 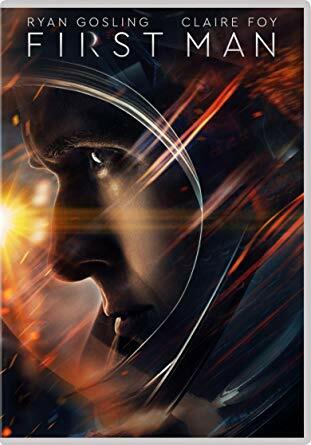 I would love to see the movie First Man because I have heard wonderful reviews about it. I really like movies that are based on true stories. The Notebook is my favourite Ryan Gossling movie. I love movies based on true stories. I find them to be more interesting than fictional movies. The Notebook. I want to see his performance in this film. I absolutely adored The Notebook, hope my current marriage continues to be strong. I would like to see this film, because I like learning and revisiting historical events.